Myanmar's government said it has repatriated the first family of Rohingya refugees, among the 700,000 who fled a brutal crackdown, but the move was slammed by rights groups as a publicity stunt which ignored warnings over the security of returnees. 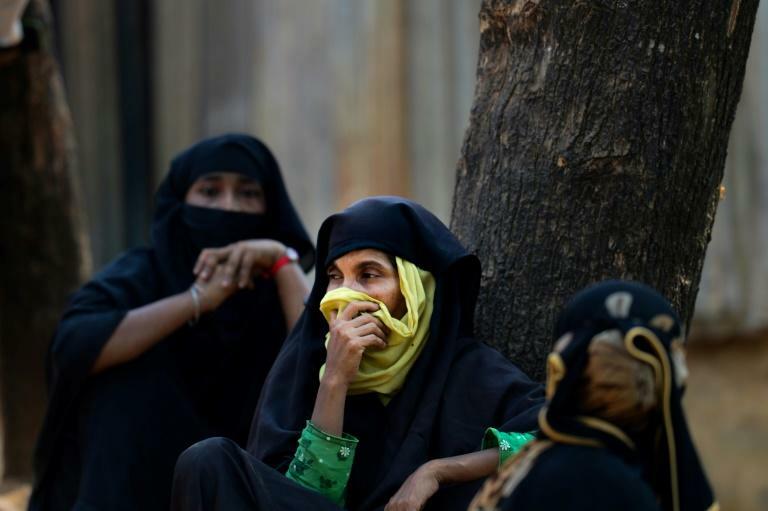 The stateless Muslim minority has been massing in squalid refugee camps in Bangladesh since the Myanmar army launched a ruthless campaign against the community in northern Rakhine state last August. The United Nations says the operation amounts to ethnic cleansing, but Myanmar has denied the charge, saying its troops targeted Rohingya militants. Bangladesh and Myanmar vowed to begin repatriation in January but the plan has been repeatedly delayed as both sides blame the other for a lack of preparation. 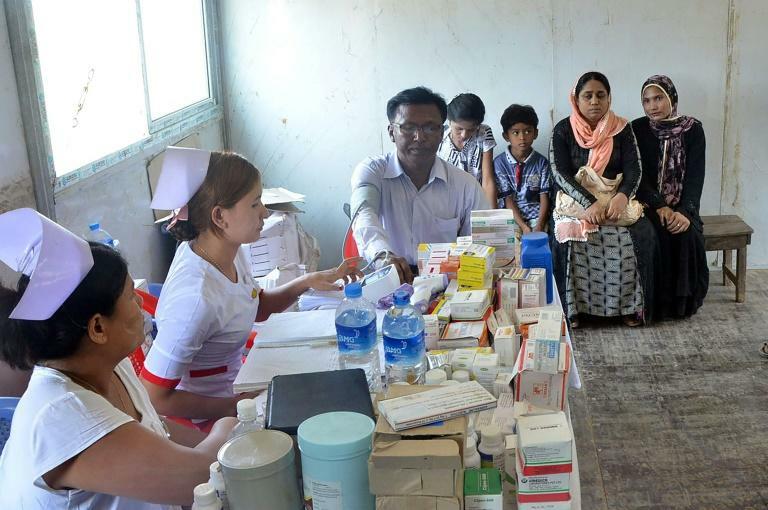 According to a Myanmar government statement posted late Saturday, one family of refugees became the first to be processed in newly-built reception centres earlier in the day. "The five members of a family... came back to Taungpyoletwei town repatriation camp in Rakhine state this morning," said a statement posted on the Information Committee's Facebook page. Bangladesh's refugee commissioner, Mohammad Abul Kalam, told AFP the Rohingya family had been living in a camp erected on a patch of "no man's land" between the two countries, meaning Dhaka had no formal role in their return. Several thousand Rohingya have been living in the zone since August, crammed into a cluster of tents beyond a barbed-wire fence that roughly demarcates the border. The rest of the refugees have settled in sprawling camps in Bangladesh's Cox's Bazar district. "The reality is that the repatriation has not started yet," Bangladesh's home minister Asaduzzaman Khan told AFP on Sunday, adding that the single family's return was "not a meaningful act". "We don't know when (repatriation) will start. They have not been able to create a ground for trust that they will take back these people," he added. 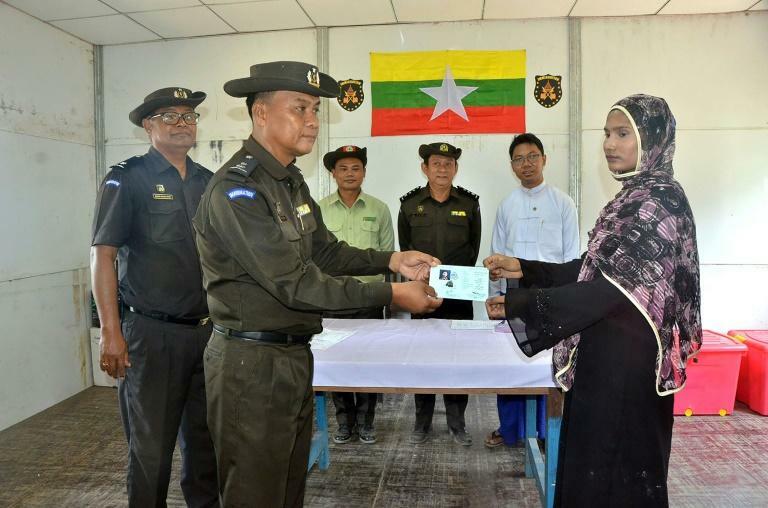 According to the Myanmar statement, immigration authorities provided the family with National Verification Cards, a form of ID that falls short of citizenship and has been rejected by many Rohingya leaders who want full rights before they return. Photos posted by the government showed one man, two women, a young girl and a boy receiving the ID cards and getting health checks. It said that the family had been sent to stay "temporarily" with relatives in Rakhine state's Maungdaw town after "finishing the repatriation process". Myanmar officials could not be reached for more details. The Facebook post did not mention plans for further returnees expected in the near future. The move comes amid warnings from the UN and other rights groups that repatriation of Rohingya would be premature, as Myanmar has yet to address the systematic legal discrimination and persecution the minority has faced for decades. The Rohingya are reviled by many in the Buddhist-majority country, where they are branded as illegal "Bengali" immigrants from Bangladesh, despite their deep roots in Rakhine state. They have been targeted by waves of violence, systematically stripped of their citizenship and forced to live in apartheid-like conditions with severely restricted access to healthcare, education and other basic services. The repatriation announcement is "a public relations exercise in an attempt to deflect attention from the need for accountability for crimes committed in Rakhine State", said Andrea Giorgetta from the International Federation for Human Rights (FIDH). "Before proceeding with the repatriation of Rohingya, the Myanmar government must recognise and guarantee all their fundamental human rights," he told AFP. The UN maintains that much work needs to be done on the Myanmar side before returns can be safe and dignified. On Friday, the UN's refugee agency said it had finalised a repatriation framework with Bangladesh but was still negotiating an agreement with Myanmar. "Conditions in Myanmar are not yet conducive for returns to be safe, dignified, and sustainable," the UNHCR said. Many Rohingya refugees express fear of returning to a country where they saw their relatives murdered by soldiers and Buddhist vigilantes who drove them from their homes with bullets and arson. Myanmar authorities have since bulldozed many of the burned villages, raising alarm from rights groups who say they are erasing evidence of atrocities and obscuring the Rohingya's ties to the country.